Carpet runners or runner rugs are usually rectangular shaped ready-made carpet that has piping in the edges. These types of carpets are usually placed in areas to prevent slipping and can also be used to protect the underlying floor from damage. For this blog, we are featuring one of our project in Subic Zambales i.e. 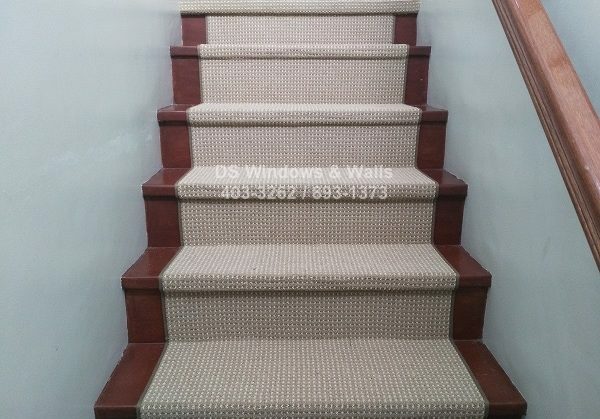 a customized carpet runners for stairs with edging. 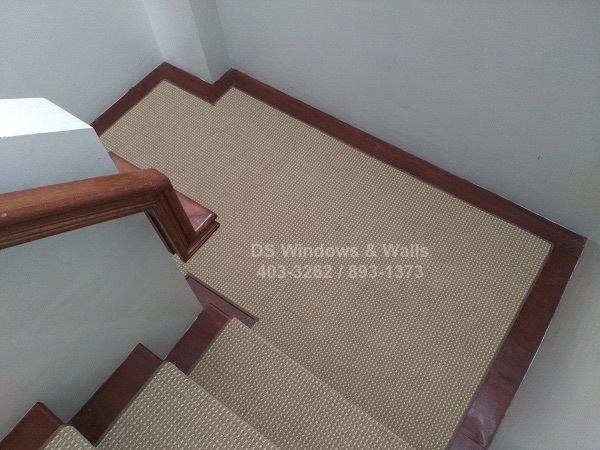 Most of our carpeting for stairs are wall-to-wall and so we do not need to apply piping in its edges for protection. 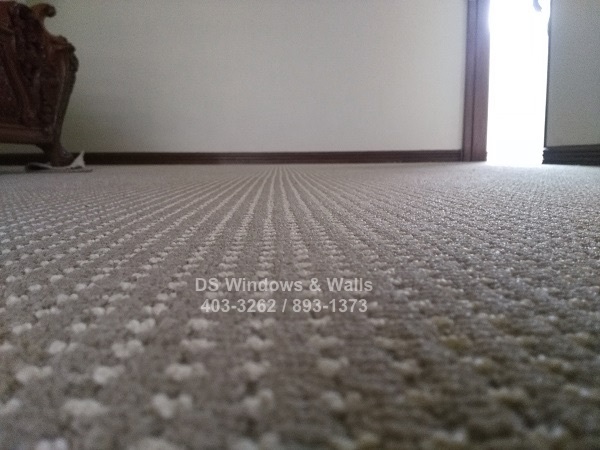 However, there are customers that prefers carpet runner style that also shows the underlying floor on both sides which is suitable when the existing floor of the stairs are of good materials and quality. In this case, we need to put about 2-4 inches allowance on both sides as you can see on the photos. 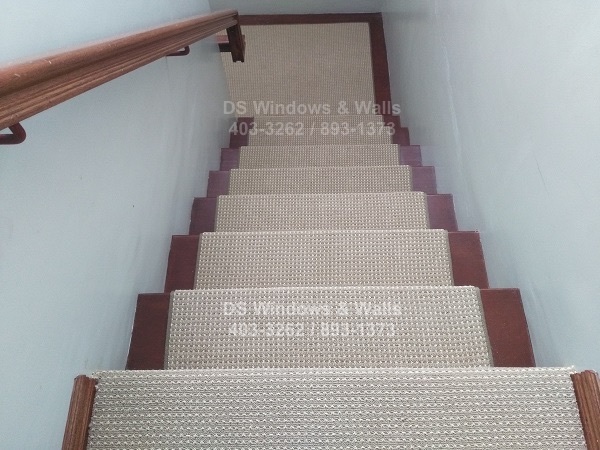 Compared to wall-to-wall carpet stairs installations, carpet runner styles for stairs is more expensive since this requires precise pre-cut carpet with edging to be assembled on site. Wall-to-wall installation is simpler since we only need to bring the carpet material and cut it according to the shape of the stairs and without the need of side edging. Unlike ready-made carpet runners, our carpet roll can be customized in any shape so that the end-result is better looking for your stairs. This is particularly true for the landing since some stairs has more than one landing and the width or length of the landing is not exactly the same width as the stairs. Our client’s chosen carpet for their newly built house in Subic is New Tango NT822 Paper Beige. Its construction is structured graphic loop pile and its fibre is cabled polypropylene BCF. This is a mid-level carpet that is durable with subtle design with a pile height of 5mm. It is also available in green hunt, sand brown, blue ocean, festival red, and deep grey colors. For more information about our carpets please call us at (02) 403-3262, (02) 893-1373, (02) 668-9668, or 0916-311-3909. You may also email us at inquiry@dswindows.com or visit us at our sales branches.